We have often highlighted the importance of the Model 3 reservation process, especially for people in the US because of the federal tax credit, but it’s now also the case for most people worldwide since Tesla received hundreds of thousands of reservations. At this point, it looks like Tesla will have a backlog of over 1 year of production by the time the Model 3 hits the market. Tesla plans to deliver vehicles in batches based on regions starting with the west coast, closer to the Fremont factory, then expanding east and to other countries. A significant number of the first Model 3 vehicles that will be delivered in California will go to Tesla employees, who have been given priority in the reservation process. Before the Model 3 unveil event, we exclusively reported that Tesla employees and SpaceX employees were given priority for Model 3 reservations a few days in advance. It was a first for both companies. There was no way of telling how many of them reserved the car since Tesla didn’t release the information or any sequential reservation numbers – until briefly earlier this week. On Tuesday, we shared a way to find a sequential reservation number hidden in the source code of the ‘My Tesla’ page of Model 3 reservation holders. Tesla patched the leak on the website hours after we published it, but we gathered enough data to learn a few interesting things. The number started at ~350,000 when Tesla employees were allowed to start placing reservations and reached ~363,000 when the first customers started placing reservations in Australia – meaning that around 13,000 Model 3 reservations were made primarily for Model 3 through Tesla and SpaceX employees. We asked a Tesla representative about our logic to determine the number of reservations made by employees and she wasn’t able to confirm or deny the number. A few non-employee reservations could have slipped between the two approximate values, but Tesla and SpaceX employees could also have reserved after the event since most of them who did before, did it sight unseen. That is why it is safer to say that “over 10,000 reservations were placed by employees”. Like for customers, employees can reserve up to two cars, which can be useful for families, but the total number of reservations is still impressive based on the number of employees at both companies. It’s even more impressive when you consider that employees don’t have access to any special discount. Tesla has over 14,000 employees worldwide, while SpaceX has around 5,000 employees. While many of them already have the Model S or the Model X, for most of them, the Model 3 will be the first Tesla that they will able to afford. It’s great that more Tesla employees will be able to drive Tesla vehicles, but it will also play an important role in the early Model 3 production process as employees will get the first vehicles coming out of the assembly line and will create a quick feedback loop to sort out any glitch. SpaceX employees were also given early access to Model 3 reservations, which is only the latest example of collaboration between the two companies headed by Elon Musk. The CEO hired Apple’s alloy expert to lead materials engineering at both Tesla and SpaceX, and the automaker made a SpaceX factory tour one of the prizes for its third round of the Model S owner referral program. The two companies also shared technology in the past. 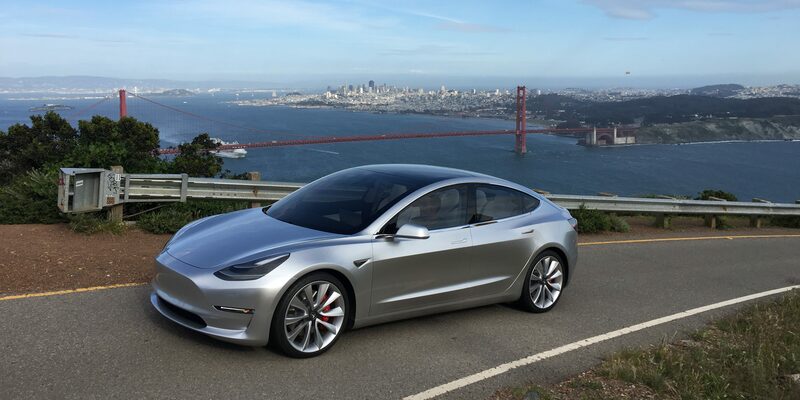 The first Model 3 vehicles are expected to come off the assembly line in late 2017.